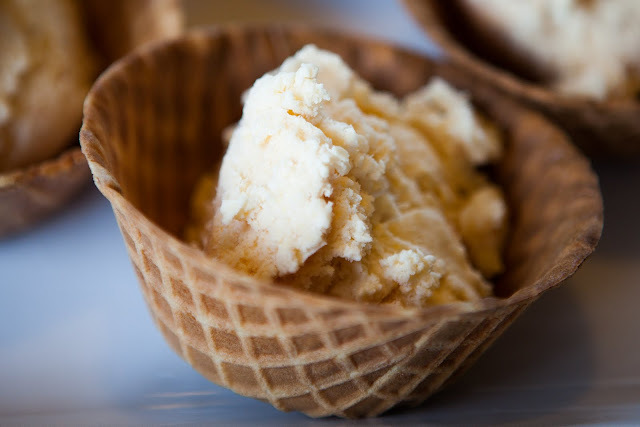 Farmer's Market Honey Peach Ice Cream | As I blog. Two weeks ago, I found "Ice Creams & Sorbets," by Lou Seibert Pappas on my desk, a gift from Leo, hand-delivered all the way from Sydney! After some gentle poking from abroad (something like, "make ice cream! make make make! "), I dug out my KitchenAid and brand new, never been used ice cream extension and prepared to make some ice cream! This book has so many enticing recipes that it was hard to pick a place to start. I'd already decided on making an ice cream, so ignored the sections on sorbets, granitas, and frozen yogurts... for another time. I initially had my eye on the Mexican Chocolate ice cream. but it seemed like a heavy option for late July, and even though I can't remember a time I've actually picked a fruit ice cream over a chocolatey option, I decided to go with fruit to keep in the spirit of new endeavors. 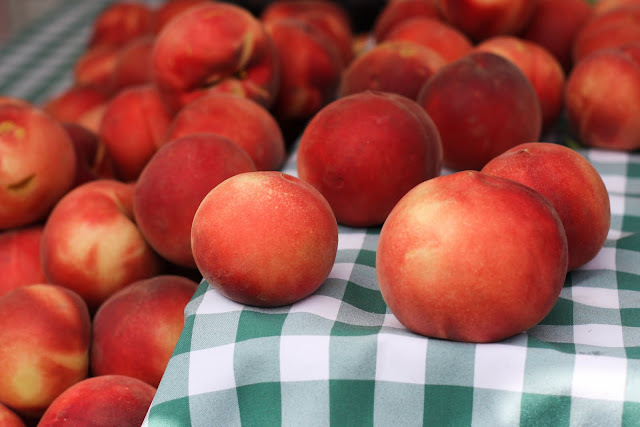 Mountain View has a lovely farmer's market off Castro St. on Sunday mornings and that's exactly where I went to get inspiration for my first homemade ice cream. A few weeks ago, I bought some star thistle honey from a local bee farmer, and thought that might be a healthy and flavorful replacement for some of the sugar. I also wanted to puree some of the peaches for the base and leave out the eggs to keep it a bit lighter - well, truth be told, I didn't want to mess with egg tempering on a first ice cream attempt because I think ruining these peaches and my cream and honey with badly tempered (scrambled) eggs would have ruined my Sunday. 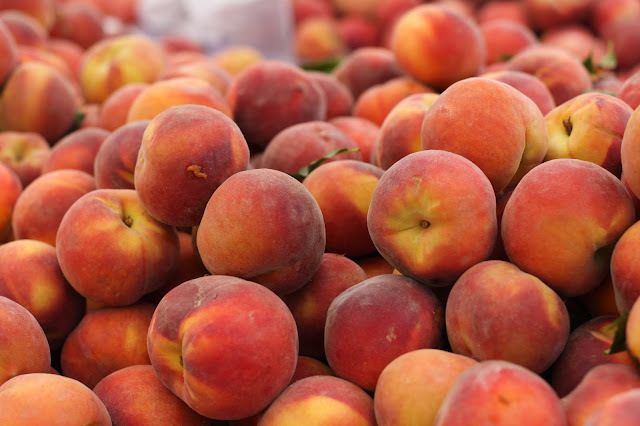 Blanched peaches, ready for peeling. 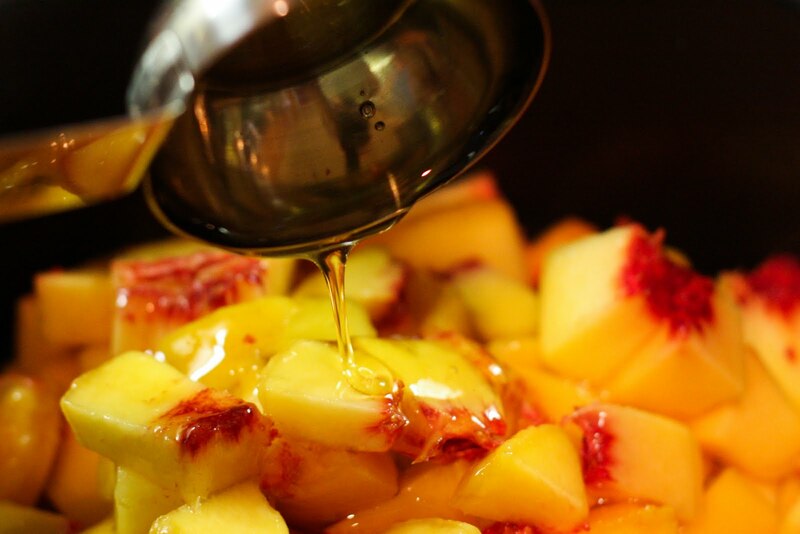 Drizzling honey over warming peaches. 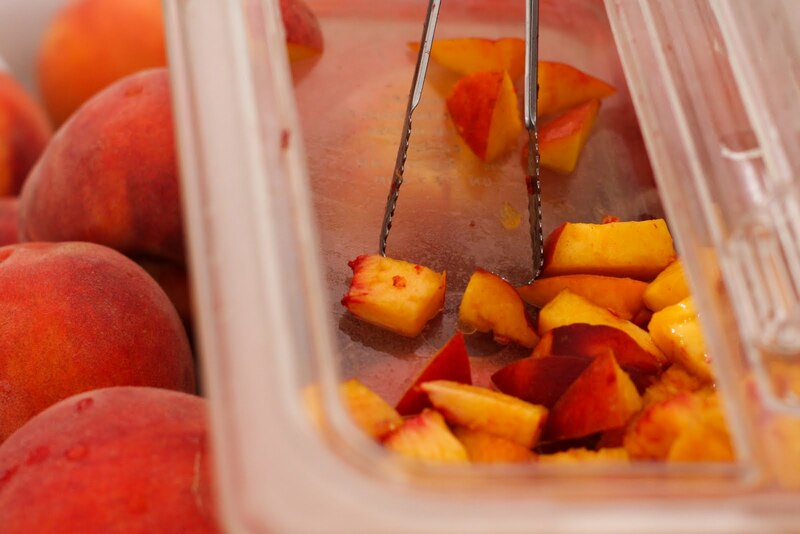 Cut up 4.5 peaches and warm with ¼ cup honey warm until the compote is soft. Then puree in a mixer and set aside. Heat up whipping cream, half and half, sugar, vanilla, and almond extract. Mix puree and cream mixture together and cool in refrigerator for at least 3 hours. Make ice cream according to ice cream maker. 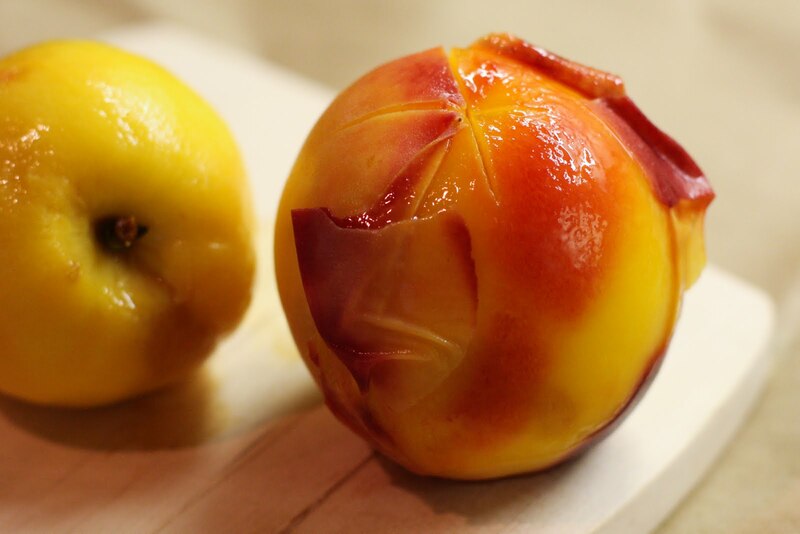 Cut up remaining peach and pour into nearly frozen ice cream.